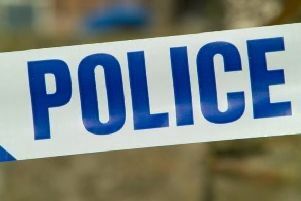 Victims of hate crime in Hartlepool are being urged to come forward and not suffer in silence. And community safety chiefs are calling on witnesses to also report incidents whenever they see them occur. This, they say, will enable them to build up a clearer picture of the extent of hate crime in Hartlepool and plan an effective response. It is believed that a lot of hate crime currently goes unreported and the appeal to victims and witnesses has been issued by the Hartlepool Community Safety Team to coincide with National Hate Crime Awareness Week 2018 which runs from October 13-20. Cleveland Police has specialist hate crime investigators and over the last 12 months they have secured over 150 charges in relation to hate crimes across the force area. Last month, offenders in two separate racist incidents received prison sentences of 15 months and 27months respectively, while a two-year Criminal Behaviour Order was obtained by the Hartlepool Community Safety Team against an individual for a series of anti-social behaviour incidents. Councillor Akers-Belcher added: “Hate crime can have a devastating impact on its victims and it is important that we provide them with a way of reporting incidents. * By reporting it at one of nine Third Party Reporting Centres in Hartlepool (a full list of the reporting centres, along with more information about hate crime, can be found at www.hartlepool.gov.uk/saferhartlepool). Special “hate doesn’t belong here” posters can be downloaded at www.hartlepool.gov.uk/saferhartlepool and businesses across Hartlepool are asked to display them prominently to make it clear that any incidents occurring on their premises will be reported.